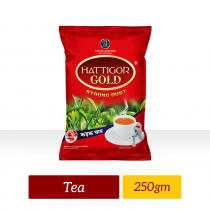 Hattigor Gold offers an eclectic tea blend, which represents a connoisseur's choice of strong CTC black tea at a tempting price. 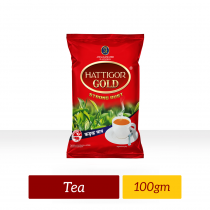 We believe in serving our customers with the best quality Kadak Chai straight from our gardens to their homes. Selected from the ideal bush pedigree that is plucked fine and treated gently during the manufacturing process. 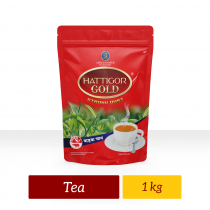 The freshest of selected teas are picked and packed, capturing its rich aroma and strength , that is beautifully created with care and passion. 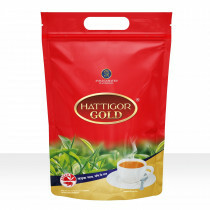 Please experience an entirely new rejuvenating feeling of garden fresh tea which acts as an elixir. 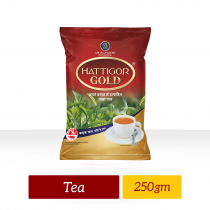 A sip of Hattigor Gold invokes a supreme soothing feeling of an aromatic tea along with strong taste and flavor. Life is full of choices , success is often defined by the number of right choices we make. Enjoy our tea that has an independent personality , as a discerning customer, we appreciate your choice.